The eyelid is divided from the eye socket by a thin soft tissue known as the orbital septum. Bacteria may enter this tissue and cause infection. 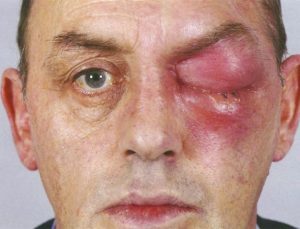 When the infection occurs in the tissue posterior to the orbital septum, it is referred to as orbital cellulitis. This is a bacterial infection which is potentially dangerous and can lead to loss of vision if not treated. Most bacteria that infect the orbital septum posterior originate in the sinuses. 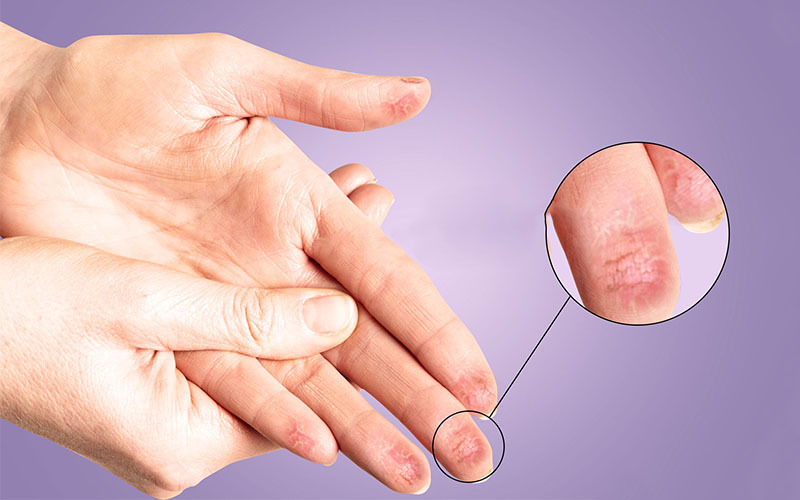 It can also be that the bacteria have spread from other body areas or entered through a fault on the skin. 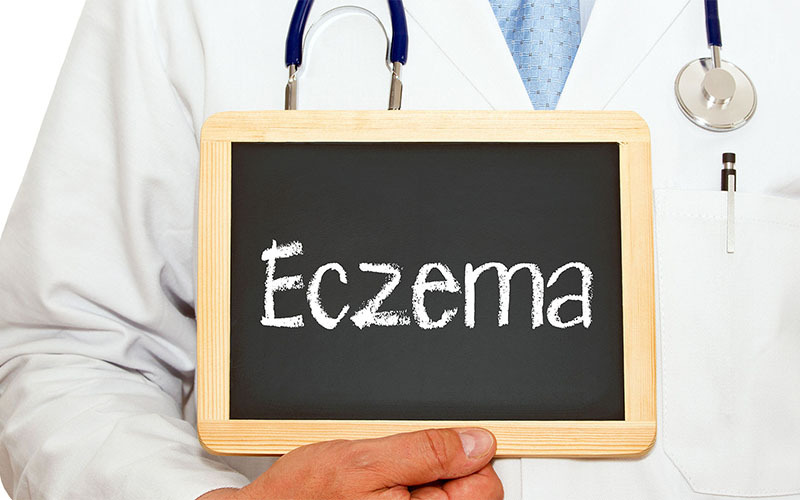 Since the epidermis provides a protective layer above the infected area, cellulitis is rarely contagious. Orbital cellulitis is usually painful. The good thing is that patients often recover fast with antibiotics. It therefore is important to go for medical diagnosis in the advent of early warning signs. It is estimated that at least 1 patient in 100 will suffer vision loss as a result of advanced orbital cellulitis. There are three main ways in which bacteria can gain access to the posterior of the orbital septum to cause infection. Etiology of cellulitis usually focuses on the following. The nose, ears, mouth, gums and face are all prone to different types of bacteria, mostly aerobic ones such as S. aureus and streptococcus bacteria. See facial cellulitis pictures for illustrations. If a primary infection in these areas is not treated, it can extend to the eye socket. In fact, more than 80% of all orbital cellulitis cases occur in this manner, mostly in children. This is why the incidence rate is higher in cold seasons. 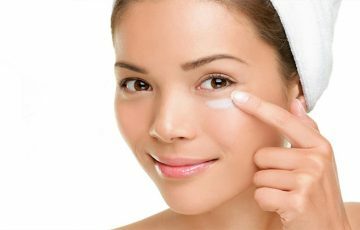 Physical injuries and trauma on the skin around the eyelids can damage the skin, leaving open entry points for bacteria. This is the common cause of cellulitis in body areas such as the lower legs. 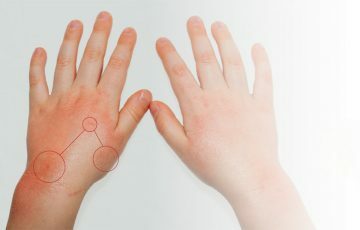 Bacteria can also be introduced into the orbit by an insect bite or during surgery. The circulatory system is the main mode of transport in the body. For bacteria to spread, they have to enter the system and be moved from one place to another. An infection or injury somewhere else in the body may act as the primary source of bacteria responsible for orbital cellulitis. 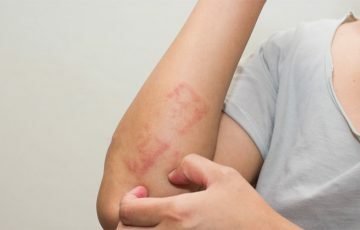 Sometimes, recurrent cellulitis tends to occur in people who have previously been diagnosed with the infection. Preorbital cellulitis is usually not painful and doesn’t affect vision. This is the main feature that differentiates it from orbital cellulitis. 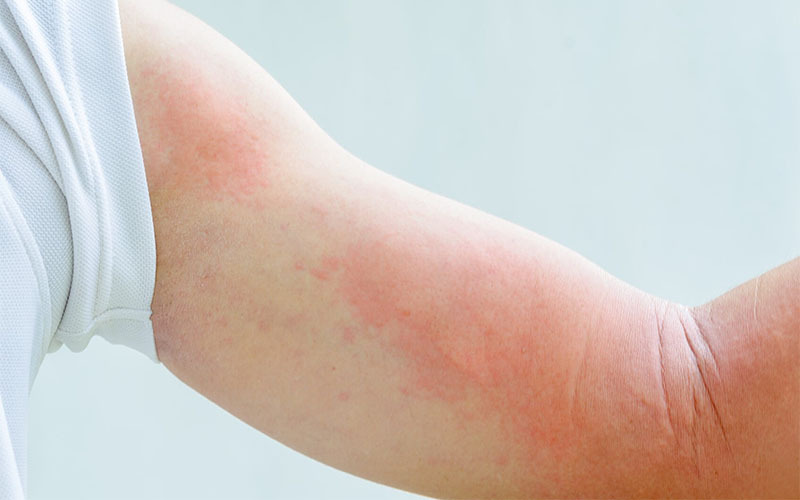 If not treated, signs of severe infection such as high fever and red streaking may occur. 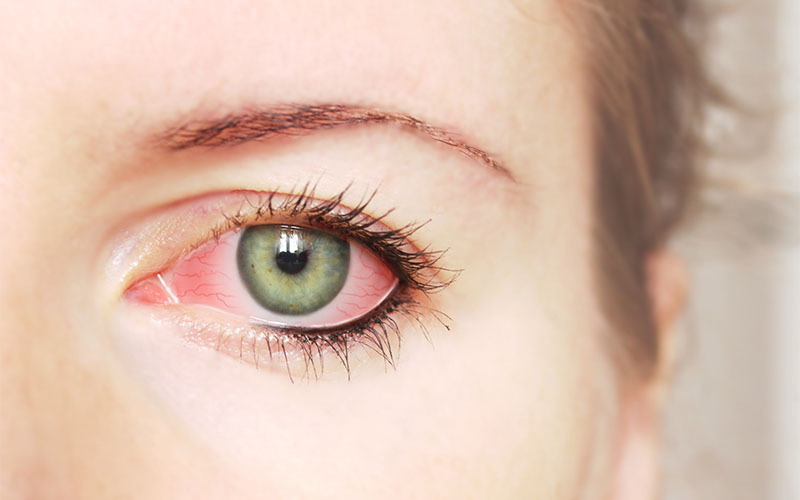 To differentiate the infection from other conditions such as styes, chalazia or atopic eczema, look for swelling that occurs as if below the eyelid and extends to the eyeball. 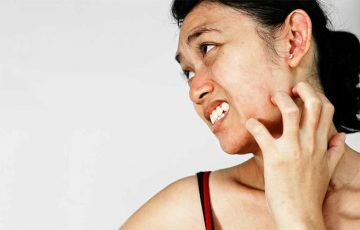 It is also likely that there will be signs of another infection such as cellulitis cheek symptoms or a form of skin injury. Before treatment, a doctor needs confirm diagnosis. A number of tests may be performed. Here, the doctor will check for typical signs of orbital cellulitis. The patient may be required to attempt eye movements, describe their vision and report any pain or pressure. Timeline and nature of the symptoms as well as medical history details may also help. Some fluid may collected from the affected eye and cultured in the lab. This will help identify the type of bacteria or microbe responsible for the infection. A blood test helps identify the type of microbe that may have infected the blood. During a blood test, the number of active white blood cells may also be taken. White blood cells fight off infections and therefore are produced in higher numbers during an infection. If a foreign object is suspected to be causing infection, x-rays can be used to check the location and nature of the object. CT scans are taken to check for the presence of abscesses, ulceration or swollen areas in the affected eye. Sometimes, a dye will be injected before the scans. 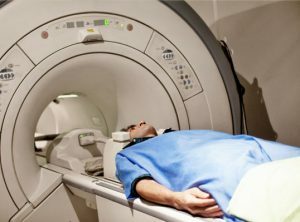 Imaging can also be done with MRIs, where pictures are taken to check for infected tissues, presence of blood clots or lymphedema cellulitis. Fine details of your symptoms and medical history are usually very helpful to a doctor. It may be helpful to note them down when preparing for an appointment. Orbital cellulitis treatment is mostly done with antibiotics. Mild cases are treated with oral medications while more serious cases are treated intravenously. 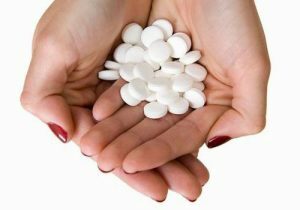 In children younger than 4 years, oral medications are rarely used. Full orbital cellulitis recovery time can extend to 3 weeks. In most cases, however, patients are required to take medications for 10 days. Improvements set in by the second day of taking antibiotics. It is important that medications be taken in full as the doctor instructed even when most symptoms have disappeared. Some bacteria such as MRSA are resistant to commonly used antibiotics. Should improvements not be noticed in 2 days of taking antibiotics used for cellulitis, see your doctor. Different oral medications or IV antibiotics may alternatively be prescribed. Swelling of both the eyelid and eye can be decreased with anti-inflammatory medications, steroids in most cases. This is not always necessary. Your doctor will prescribe them if the inflammation is severe or causing a lot of pressure in the eye. Pain medications play a big role in orbital cellulitis treatment. This is because the infection can sometimes be intolerably painful. Prescription pain medications are very effective in managing the pain. 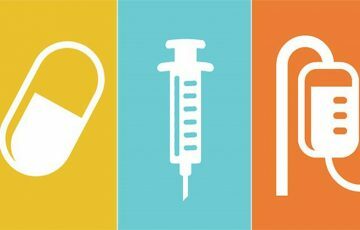 Surgery is only necessary for infections that do not respond to antibiotics. It is done to drain abscesses or get rid of dead tissue. Treatment can also be done to address a primary condition that may be causing orbital cellulitis. For example, Bactrim for cellulitis can be administered to primarily treat an ear infection. Orbital cellulitis prognosis is usually good. This is mostly because most bacterial infections respond well to antibiotics. Only about 10% of all cases lead to severe complications such as blindness. The most important thing is to seek medical attention as early as possible. MRSA – this is antibiotic resistant bacteria type. It is, however, not untreatable. See your doctor if oral antibiotics fail to work within the first 2 days. Optic neuropathy – this condition occasions damage of the optic nerve. The optic nerve relays messages from the eye to the brain. When damaged, patients lose vision. 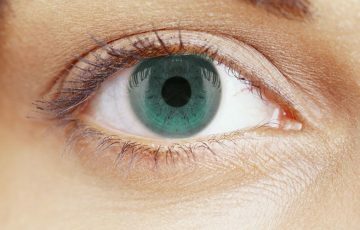 The affected eye also loses color throughout the eye. Abscess – this is another of complications of cellulitis. An abscess can be thought of as a large boil. It is usually very painful and requires surgical draining to get rid of. Exposure keratopathy – The cornea is the transparent outer layer of the eye. 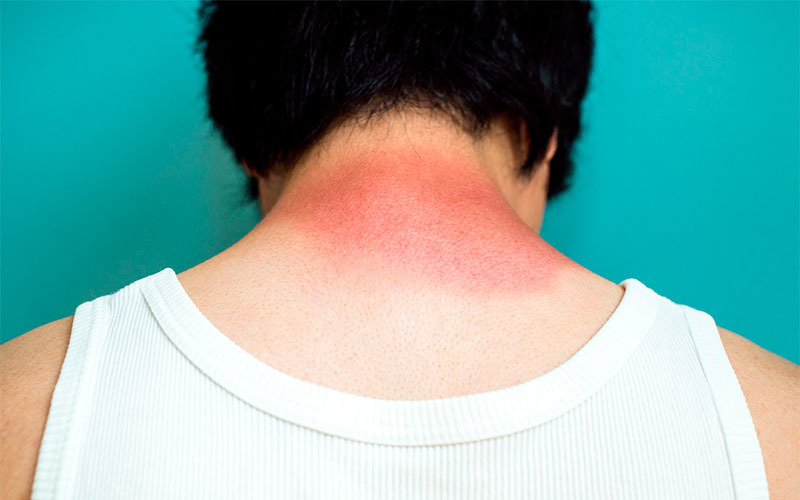 When it is over-exposed to the outside environment, it may become damaged. Cornea is a very important part of the eye. It in fact accounts for more than half of eye power. Exposure keratopathy can occur as a complication of orbital cellulitis, which leads to loss of vision. Cavernous sinus thrombosis – this condition describes formation of blood clots in the cavernous sinus. It is in this cavity that blood vessels taking blood from the brain to the heart are contained. Infection in the sinuses and eye may lead to this condition if not treated. Meningitis – meningitis is a dangerous condition caused by inflammation of tissues around the brain and the spinal cord. It is both serious and fatal. Retinal vein occlusion – this condition occurs when a blood clot forms in a retinal vein. Retinal veins carry blood away from the retina for oxygenation. When the retina is damaged, the eye loses its ability to form images. The best preventive measure is to keep bacteria from entering the skin. This can be achieved by wearing protective clothing and equipment, especially after a skin injury. Injured areas should also be kept clean and free from moisture. You can also try warm compressing on the affected eye. Warm compress may help reduce swelling and draw pus towards the surface. Other than warm compress, patients may find it helpful to rest during the recovery period.